One stop shopping for all your moving needs, Extra Storage makes moving easy with our convenient self storage location in Santa Clara. We are conveniently located near San Jose and Sunnyvale. 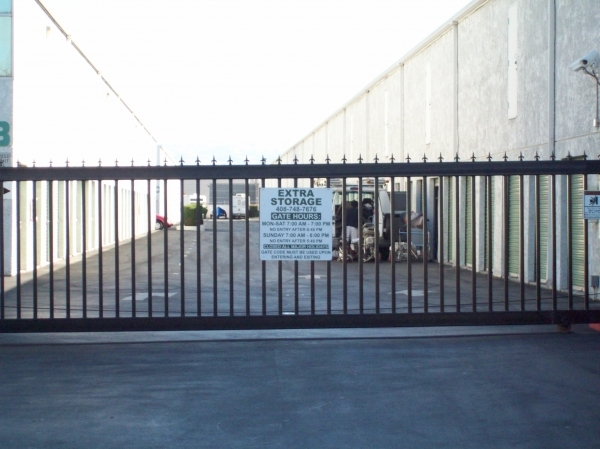 Our self storage units are secure with easy access. We offer Low monthly rates on our self storage units with no deposit required, and offer a free move-in truck with a size 5x10 rental or larger, just rent the4 unit first, then reserve the date due to availability! Our resident managers are highly trained to answer any of your questions. **Due to high demand we can only guarantee rates and availability for 7 days, though we will do everything possible to honor all reservations (availability permitting). Please book your unit within 7 days of your storage need. Thanks! The staff at this location are fantastic, the location is quite central, and if you get in at the right time, the rates are great for a storage space in Silicon Valley. I really prefer them to larger, more factory-farm companies like Extra Space and Public Storage. There are real people behind the counter, who say hello and goodbye and remember your name, and the friendliness is incredible. They've got a more small-town, old-timey vibe that I'm a huge fan of, and they're definitely far more professional than at many of the other companies, where the employees are basically glorified robots being monitored at all times for their behavior. Try visiting a competitor and asking if you can use their bathroom, "Sorry sir, it's against our policy..." Try it at Extra Storage, "Well sure! How are you doing today?" If I had to pick on something, I'd say that consistent with their old-fashioned vibe, they don't really have a web presence, which I haven't really needed, but could be a deal-breaker for some people. I used open an account for 5 by 5 space. Staff was friendly and very helpful. Love location and clean place. Great friendly staff, extremely clean facility, overall excellent experience. I had checked many sites for storage space and finally I choose ExtraStorage at SantaClara. They are best with reasonable prices and I got 10Ã10 with a great deal. They also provide truck for free to move the stuff and that would save lot of money for people who need to rent a vehicle. Management is very nice and they explained every detail very patiently and thoroughly. I would recommend people to lease space at ExtraStorage. Rusty and Terra are very kind and helpful. The area is very safe and secure. Loved my experience. The folks at ExtraStorage weâre awesome! Super friendly, helpful, and approachable. The unit was the cheapest out of all of them, in a good location, clean, and everything I wanted. I would 100% recommend ExtraStorage and particularly the one at the Sunnyvale location. Good for price .It is not the fancy storage but it serves the purpose. 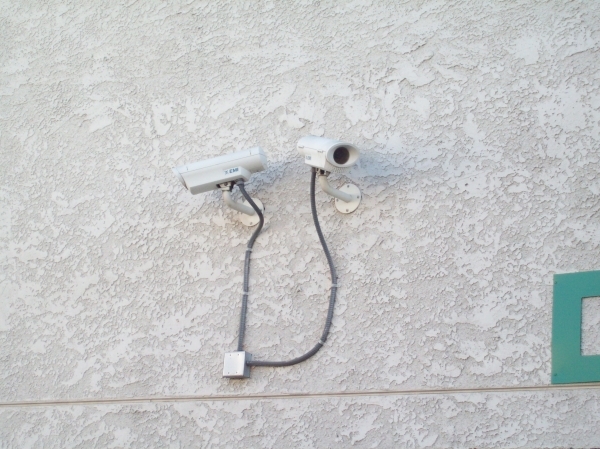 The facility is secure and easy to navigate. It is staffed by a lovely couple who are very pleasant to deal with. We just moved stuff into our unit a few days ago. Customer service was excellent and the process was quick. I really appreciated that he gave us several options, trying to get us as close to elevator as possible. Very helpful and polite. Thanks! Decent storage for a good price The doors look like paper. Everything else is fine. Staff was very friendly and helpful, and price was competitive. Instructions given were clear and detailed. Facility was clean. Very friendly staff. Priced below competition. Units clean and well maintained. I just moved my belongings into storage this week due to an emergency move situation. 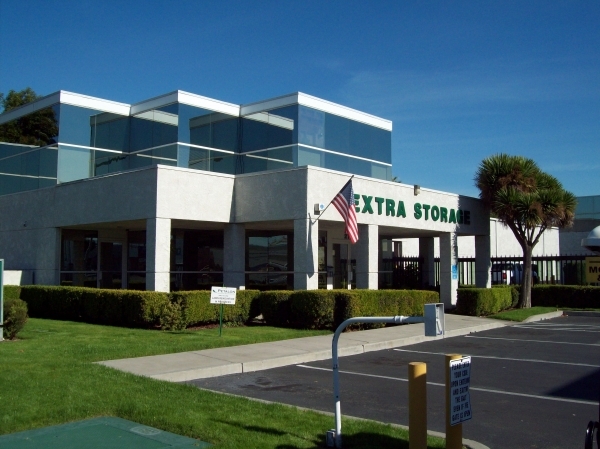 The folks at Extra Storage Santa Clara are so friendly and helpful. It is ran by a husband and wife team who really know how to make a person feel welcome. The check in process could be better organized. The variation of hours should also be listed on their website for those individuals trying to plan their loads, in addition to the reminder to bring a lock. There were very friendly employees. This was my first time moving on my own and everyone was very helpful and supportive. The team was wonderful. I had a surgery right before my move in day and we're very understanding about postponing my move in day. They also put me in a unit very close to the lift so I would not have to carry far. I would recommend them to anyone looking for storage. The front office staff was super helpful in getting the right unit for me - outdoor, ground floor, and well lit. The gate code entry AND exit is a great added security feature. 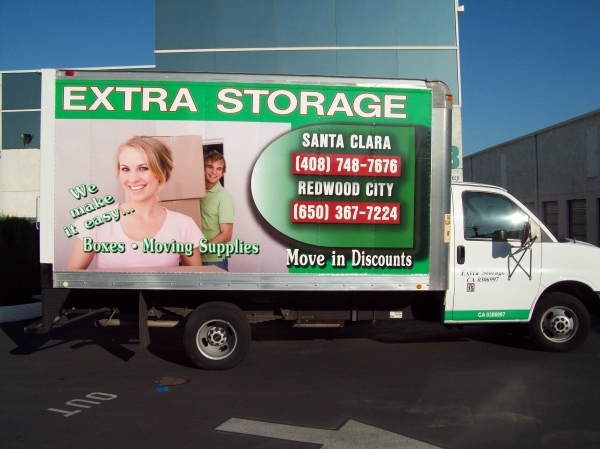 Great storage facility..affordable..month to month.. clean.. use of moving truck..50% off first month! How could you go wrong?!! very friendly and professional customer service. Called off internet.. got 50% off first month, easy, clean and great service. Moving truck included with rental. Selling point was month to month option! 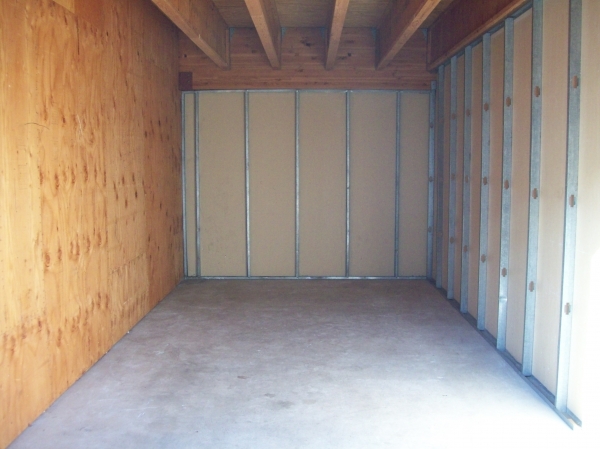 Quick, easy and affordable storage unit! Called the main # for assistance. Provided a moving truck and wonderful assistance! Great customer service! Quick and easy! Jason and Shannon are super friendly and helpful people. We leave with the impression theirs is the best storage place we could find and great satisfaction. Moving in was really easy, staff the the front desk explained everything clearly, unit was as described, great experience. Overall I'd rate 4-4.5 stars. The staff was very welcoming, friendly & helpful. The reason I rate not 5 stars is because the closing is sort of early & if you're in the second floor the large duly is hard to get in the elevator. It took me a lot longer than expected to move my stuff in there because of the elevator/duly issue. Friendly staff. Clean area, looks secured. The customer service is the best!!! 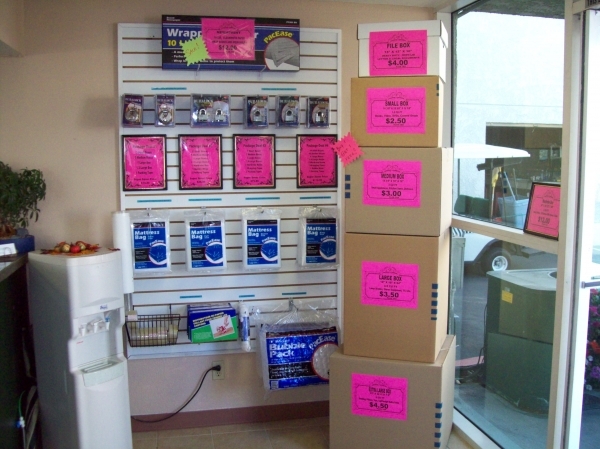 Best storage facility in the area! Very friendly staff, clean, and cheap! This place is a secure facility. The staff are super cool and very friendly. They had answers to all of my questions. You can't beat these prices. They also provide you with a free truck to use. I'd definitely recommend this place to anyone looking for a quick and efficient storage facility. The Manager, Jason and his Wife Shannon explained every thing very well to me. I saw the Storage Spaces and those were clean Spaces. Everything was awesome! I save lots of money moving my stuffs to this Storage. They bring me the moving truck and dollies. Everyone is so kind. I really like this place. The staff is so kind. The storage is so clean. I love It. I moved out from Public Storage with a rude staff and dirty place. You must get your storage. Affordable but you get what you pay for. The best storage in the bay area. The couple running this place are amazing. They gave me and my fiance a ride on the golf cart while touring the location and were very customer oriented in advising us on which unit to get. Friendly people that were on top of everything. I was helped quickly and efficiently. I even received a phone call saying I was over charged and would receive a refund. I would recommend this place to someone. Overall I would give it a 4 star review. Best deal I've received! Thank you Sparefoot! Great staff! 5 stars on everything. Great staff. The rate is great ... as promised. I love their staff especially Shannon. She is very professional, helpful and happy to assist. She answered all our questions. I'm happy to go through Sparefoot. It was the best deal I've ever found in searching for the perfect storage space. Reasonable prices, the cheapest I could find in the area. Customer service is good. No complaints whatsoever, staff from office to field was accomadating,explained the rules clearly, storage unit was very clean, and in a great location,a couple miles from home. Great service! Great people to deal with. My first time renting a storage. I was scared at first because I have no idea what's going to happen. The owner made sure I get the best 9x9 unit and explained every detail to me. Free lock too! I'm very happy with my storage unit. Solid storage with great service at the right price. Great customer service, very clean, and good price for the Bay Area. Highly recommended! The prices are lower than any other place around San Jose or bay area. Staff is nice. 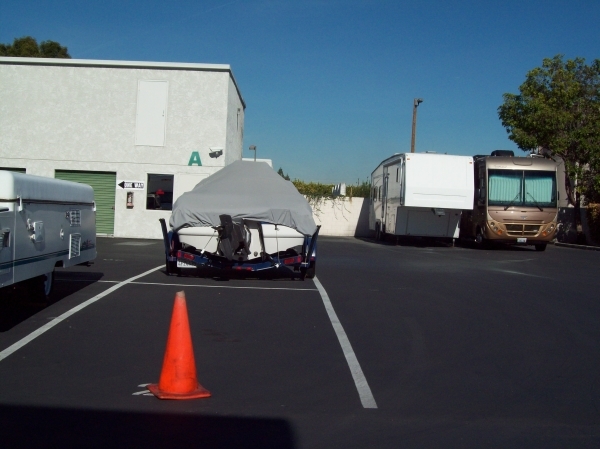 RV and vehicle storage is available. No dumpsters, limited gate hours, no fire control equipment inside storage facilities. Excellent services very attentative to all our needs. Very satisfied overall with everything. The people there were friendly professional speedy helpful the place was clean although the couple that lived on premises or very friendly I made eye contact and he gave me a dirty look I asked him if there was a trash can on site where I can throw away some broken glass and he just said no! Smooth move-in experience, Melissa was helping to choose an unit close to the entrance. Thanks. Understood my price and needs and the customer service was the best part .. Very friendly and easy going .. That's a plus for me .. The fine print policies they have make you initial feel a little sketch but other than that its a great clean facility! Easy in and out process very friendly and courteous. Good pricing, good service! Would recommend! Clean, very friendly and helpful staff and the best price i found. Great experience, very nice staff, great price. Would recommend to friends. The location is safe and very large and clean. Nice staff. got one spare foot put on hold for me. Move in special was only for unit I held. internet special $1.00 move in was not honored, or 1/2 off 1st mo. on other units either. No move in truck. Customer service weak. Phone wasn't answered 2 days.. I went to location to firm everything up myself. Moved next day within budget. The lady that attended us was quick and thorough. She made everything very easy, especially with her friendliness. The price was amazing, considering the size of the storage unit and the free delivery truck offered. I would definitely come back here again if needed in the future as well as recommend it to a friend. Family owned place with great customer service. Storage and exercise, all in one! Competitive pricing for the space and convenient location, so what's the rub? I rented a small 5 X 5 space that was located in building "A" on the second floor. Building "A" is located ~300 yards from the office. Free carts are available (must leave ID) and must be walked over and walked back (if you don't have a truck). An elevator will accommodate a loaded cart but not a person. Besides these quirks, you get what you expect and the staff are very helpful and gracious. Great price ( hopefully, it will not be increased soon ! ), quick professional friendly service. We've just started our relationship with this storage. Everything looks good so far. We like the facility and admin. staff. Their rules are reasonable, price is great. Carts are worthless. Barely fit in elevator. Overall I find the whole set up needs help . I am very happy with this place. Not only is it near me, but it is in Santa Clara and cheaper than the competitors. The security requires you to punch your code to exit which I think is a great security feature that more places should have. My only disappointment is the elevator will fit their carts for carrying items, but the hallway and size of the elevator makes it hard to maneuver around so it takes a bit more work than I would like to have to deal with when going to another floor. We forgot our lock and they quite happily loaned us one. Really friendly people, and the facility is super clean. Friendly and helpful staff here make sure you get what you need. The free truck at move-in has a 8x16' cargo area and comes with both a hand truck and a furniture dolly. It really is free to use all day, and saves both money (no uhaul rental needed) and time (no uhaul pickup and dropoff needed). The overall experience was good. Transaction from the start was smooth. I like the fact that I was able to be shifted to a bigger unit when my things didn't fit the smaller unit . I would highly recommend their service and facility. The customer service is fantastic and the facility is better than public storage. Only gripe is that I found my init at a great price, but wasn't told that the price would skyrocket after 7 months or so. Was quite surprised and am very disappointed. I simply don't have the time to move or I would have already. Raised the price by almost $40per month. Not cool. So all in all it is a good place with great customer service, but poor corporate management policy. Be aware that this will happen if you find a good rate. It will change. They were so helpful, nice, fast and great that im so glad and lucky to have found them. I was impressed with the Customer Service at this facility. The space was avalabe and it was perfect for what I need. Staff are nice. Free same-day 15ft box truck rental on getting a new locker. Clean place. Cameras outside but none on the lockers inside. The only parking in the gate is in front of other peoples lockers. There's a lift/cargo elevator that'll fit a ton of boxes or possibly a fridge. very helpful and friendly staff. Made everything simple and easy for me to move in. Great people and hours. I don't have an experience to compare but no complaints. Extra Storage has a ton of spaces of all sizes. The on-site staff were patient and showed me about five different units of all sizes until I decided what I needed. I've only rented spaces on the ground floor before, but in this case it was for stuff I don't need frequently so I rented on the second floor. The elevator you put your stuff in is *really* slow, but that's only a minor inconvenience. Getting the cart in the elevator is a bit like parallel parking in Boston -- a test of your driving skills. Again, only a minor inconvenience. I'd definitely use this place again, and definitely recommend it to others. The were extremely helpful when I moved in and answered all the question I had before I had the chance to ask them. In the end my experience was fantastic they were very nice and helpful. Very friendly, helpful office staff! We were very impressed with the friendly, helpful office staff. They were efficient and informative. Nice people and services. Thumbs up! Overall experience is highly satisfactory. No complicated paperwork and move-in was very easy. We will be repeat customers and will recommend to others. Found this place online. The woman working the office was very friendly and helpful. The storage areas are clean and well secured. A code is required to get into and out of the facility. Carts are available and the cargo elevator was easy to use. Overall, I am satisfied by the pricing and storage. However, the facility is open only during work hours during the week and it was quite difficult to move items from my car into storage because of the narrow hallways, elevators, etc. Recommend that you should bring at least one friend to move your items. Shocked that the doors for the smaller units are cardboard, offering zero security and I saw no security camera inside the buildings. Probably will look for another location. Amazing staff and great location! Everything I was looking for at a great price. Very nice people ,helped with a lot of questions and always had reseloution or me or a way to answer my questions. Colleen and Kevin are so nice and friendly. The facility is clean and has a safe feeling. I have already recommended them to a friend. Very prompt courteous customer service. Very friendly. Overall great experience! I went to this facility on a recommendation from a family member and I will recommend this to any friend that needs storage. I had a wonderful experience! The staff is friendly, helpful and a pleasure to deal with. The truck was ready for pickup and the move went smooth. Thank you for making this move so easy. Friendly, helpful staff and very clean...my move in was so easy. Excellent friendly office staff! The elevators are slow, and another party was using them and we ended up carrying everything up a flight of stairs to second floor. The mover we hired said the same thing happened the weekend before. Overall, happy with the value. Friendly, professional and calm during a stressful move. I would definitely recommend this storage facility, I felt like I knew all the costs up front, I was treated fairly, and the cost was better than most. Given the cheaper price, I thought we might end up with some shady storage facility, but I thought it was clean and well maintained, and the staff was professional and very friendly. I've just moved in a week ago and here's my take on it. Friendly staff, clean facility, and affordable prices. I am very happy that I reserved my storage unit here. I would definitely recommend this place. Quick, pleasant, and easy to access! Clean space and elevator access key! I've been renting from them for the past year. Since I got my new apartment, I am finally ending my time with Extra Storage. The time with them has been truly a great experience. Their price is fair, their staff is friendly, and I've never had a problem with the gate code or such. Thanks so much, Extra Storage. You guys rock! I just recently got my storage unit there and must say that I was pretty impressed with them. They had the largest variety of units available and the prices were pretty decent, compared to some other storage places I checked out. The storage areas were super clean and felt very secure. In addition, the staff was super friendly and helpful. Easy and awesome! Jason was great! Good customer service, but needs more elavators. Amazing value! Friendly and courteous staff. Easy to find, right off the 101. I am new to the area and needed a place to store my stuff. Extra Storage came with great reviews and I can see why! Very pleasant. The staff was extremely gelpful and friendly. They made me feel comfortable particularly this being myfirst time utilizing a storage facility. This a great storage location! The people who work there are super friendly and it was an affordable find in the area! 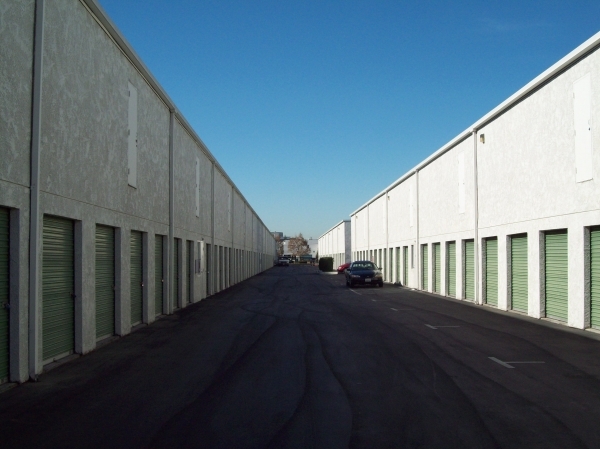 We used this storage facility due to a lease ending on a rental and now homeless!! :-(.....but Shannon and Jason made our belongings feels safe and secure. Excellent customer service, would highly recommend using them. First time we've rented a storage unit and we were so pleased with the service, the cleanliness of the property and helpfulness from the staff. I was in dire need of a storage unit and found a 5x5 which proved to be more than enough room. Every interaction, both in person and on the phone was pleasant, respectful and professional. Upon arriving at the site, we filled out paperwork quickly, were given a ride to the unit, and a ride back. I noticed how exceptionally clean both the unit and the property were. When unpacking our two cars, my boyfriend went back to pick up the hand cart, but we were surprised that it was being driven over to us!! The only issue I have is that the service elevator is a bit tight if you are moving the hand cart in with a full load - a bit difficult to manuever in and out. I would definitely recommend Extra Storage to everyone. I'm really happy I chose this spot for their great value, but also the excellent customer service. Booked from 2400 miles away, showed up a day late and they took care of everything. Very helpful and friendly staff. Convenient location and complimentary truck use. Would definitely recommend to friends. Customer service is outstanding with a friendly family environment! I sincerely appreciated the great service I received at Extra Storage! They made a mistake on pricing that gave me the aboslute lowest rate in the bay area, and honored it anyway! They were funny, friendly and helpful. Best in class service! well kept, but make sure you ask for the 1/2 first month rate! It's a good facility, reasonably priced, but make sure you ask for the first month half off, as they forgot for me. 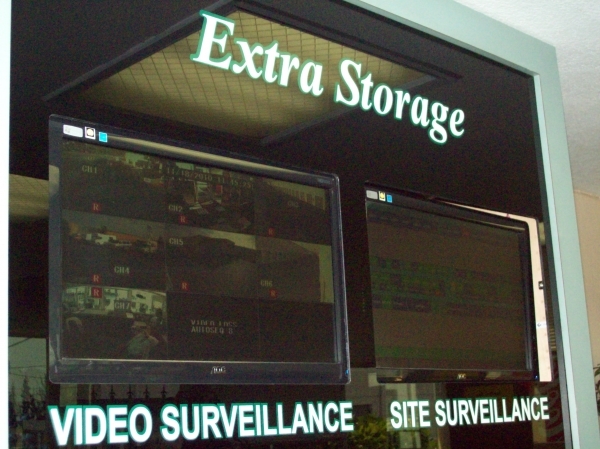 I really enjoyed my experience at Extra Storage. Great price and great customer service. I am extremely satisfied and would recommend it to anyone.